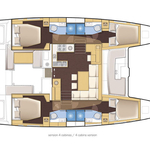 Yacht Lagoon 450 named Windguru has been built in 2017. 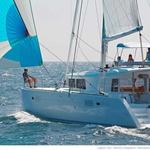 We offer this sailboat from port Sibenik in surrounding area of Sibenik. Windguru is licensed for 12 crew members. Layout of the sailing boat is 12 (8+2+2). 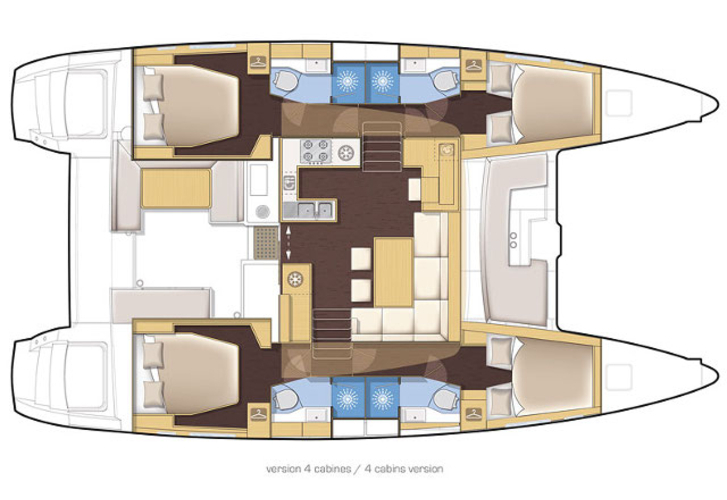 Lagoon 450 Windguru is equipped with 6 bedrooms. 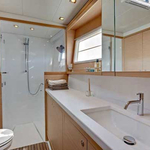 For guests disposal there are 4 toilettes with showers. With motor 54 Windguru can move really fast. 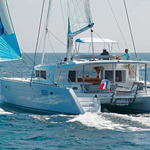 Windguru is 13.95 m long and 7.84 m wide. 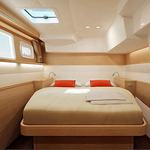 Draft is 1.3 m. Browse for other boats following this link: Catamarans Sibenik. 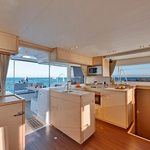 Boat's equipment includes : Freezer, Wc pump electrical, Inverter 12v-220v, generator, Gps plotter, Radar, Autopilot, ipod system, Radio / cd player, TV, DVD player, Bed linen, Towels, 2 refrigerators, CD/MP3/USB player, Air conditioning, Water maker, RIB, Outboard engine, Teak cockpit, sun mattresses, Bimini top, Mainsail with lazy jack. . Security deposit there is 3000.00 EUR. 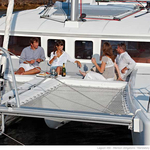 Choose our offer and enjoy your holidays on the deck of Windguru. 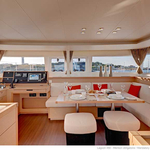 This Lagoon 450 from Sibenik from Croatia Check in section: Catamarans Croatia.